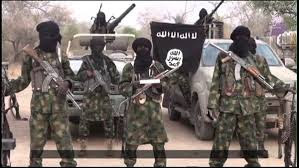 Six persons were killed on Thursday when suspected Boko Haram terrorists ambushed the convoy of the Nigerian Army's commanding officer near Bulabilin, a village along the Maiduguri/Damboa highway. A security source told SaharaReporters that the attack also left scores of injured people. "Our convoy came under terrorist attack yesterday a few kilometres after Bulabilin when the Commanding Officer of Bulabilin village was going to Damboa. Unrepentant terrorists killed our soldiers and seriously wounded others,” said the source. He added that the wounded soldiers were taken to the military hospital in Maiduguri for treatment. The military was yet to issue a statement on the ambush at the time of filing this report.